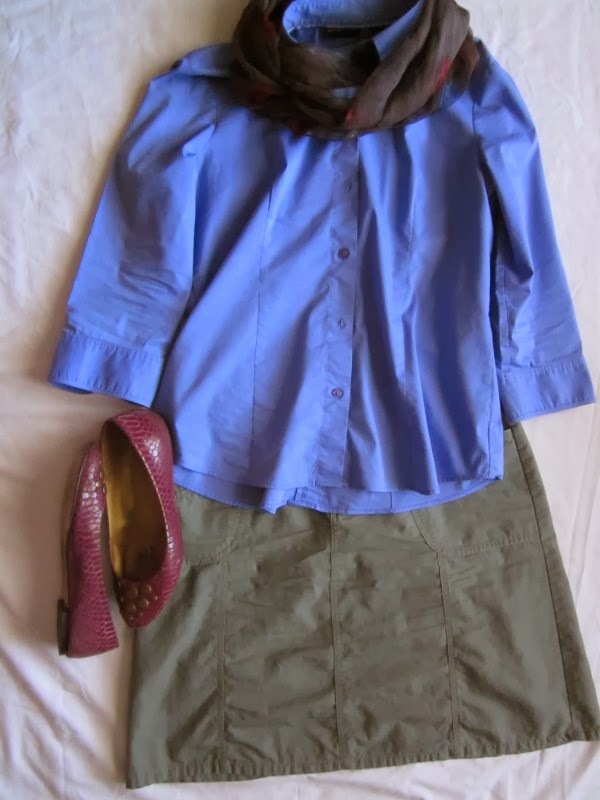 A little more business casual with a button-down shirt, scarf and colorful flats. This one give the air of ready to work, yet not too stuffy. What's your favorite colored flats?